Thoughtful Consumption is our Green Philosophy… but what is green? 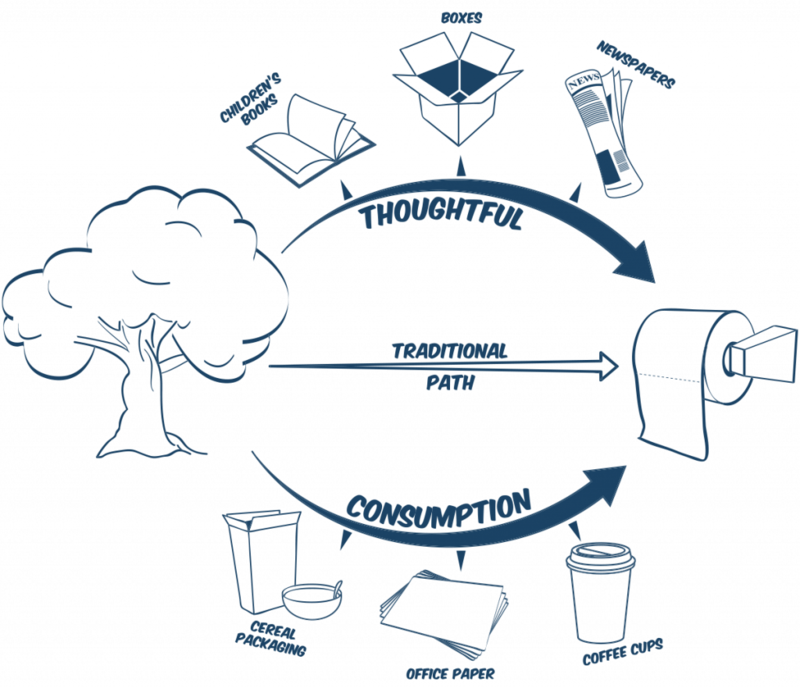 Thoughtful Consumption is our common sense approach to away-from-home washroom paper products and it is a way of thinking through the product’s life cycle. Does it really make sense to cut down trees with the sole intention of making toilet paper or hand towels? Thoughtful Consumption is about stretching out the life cycle of the fibre and ensuring it is recycled at least once, preferably 3-4 times, before we use it in a washroom and then consign it to the drain. Going Green is no longer a revolutionary statement – nor is it trendy or even alternative anymore. Going Green is now a business philosophy. It is now the norm and almost an expectation. The term ‘Green’ is often overused, or used when it arguably should not be used. Everyone has their own definition of what is Green, what is sustainable and what is environmentally friendly. ESG Asia Pacific believes that Green, when it comes to away-from-home washroom paper products, means 100% recycled – nothing more and absolutely nothing less! Along with the final product, we believe that, for us to truly claim to be Green, the manufacturing process needs to meet and exceed the required levels of environmental responsibility. Our towel and tissue products are manufactured from 100% recycled fibre. They contain post-consumer waste and they are manufactured without chlorine, chlorine derivatives or any other potentially harmful chemicals. In addition, during the manufacturing process, the water used has been recycled. At ESG we are passionate about only providing recycled paper options. Paper has so many wonderful practical uses in our world today, so surely it makes more sense to take a tree and make it into a book – and then take that book and make it into a cereal packet – and take that packet and turn it into office copy paper – and then, finally, take that paper and produce 100% recycled washroom paper. This is what Green means to us! ESG believes that when it comes to away-from-home washrooms, Green means 100% recycled paper products and absolutely nothing less than that.